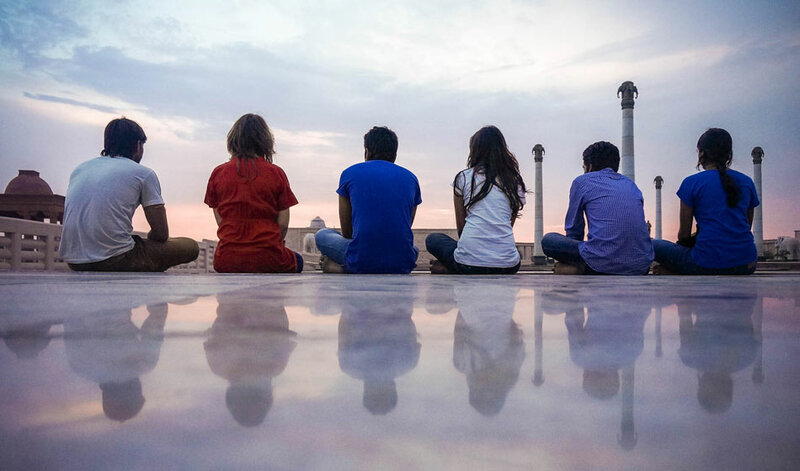 Living in India is a life-changing experience. This country is a great teacher with a plethora of tests and lessons ready for its visitors. I came to India three years back for the first time with high aspirations to make a change here. Little I knew how this country is going to change me and show a different perspective on life. I would like to share six important learnings from India that can help you also change your life for better. We constantly underestimate our wealth. It happens partially due to the pseudo-standards of success that people have established themselves. Money, fame, power are relative indicators of success that many media channels continuously promote. These indicators can’t be applied unanimously for everyone because there are different things that make a person happy. We often tend to compare ourselves with others without considering the context of the situation. This thinking results in envy and frustration. 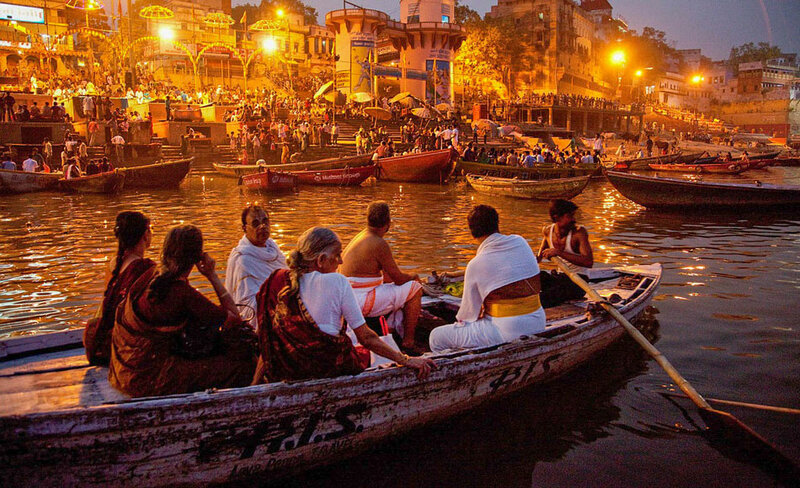 In India, you will experience a different reality that will push you to rethink your standards. Take a walk through a slum area, talk to a water seller at the local market, meet a rickshaw driver who works 19 hours a day to feed his family. There are so many people whose life aim is to get food as soon as possible to postpone the starving or to find a solution for their bare feet & legs. Everyone has problems, but it is important to take a moment to value what we already have. You might have a home or you are renting one. You might be adding new products to the basket at the market without double thinking about the price. On a weekend you might be going out with friends or attending some club of interest. You might have close people around who make up your company. If you are reading this article you have a smartphone or a laptop with an internet access. Whatever you have, don’t take it for granted. If you take a moment once in a while to express gratitude for your health, family, home, food, you will understand what you already have and how to achieve your further goals from this point. 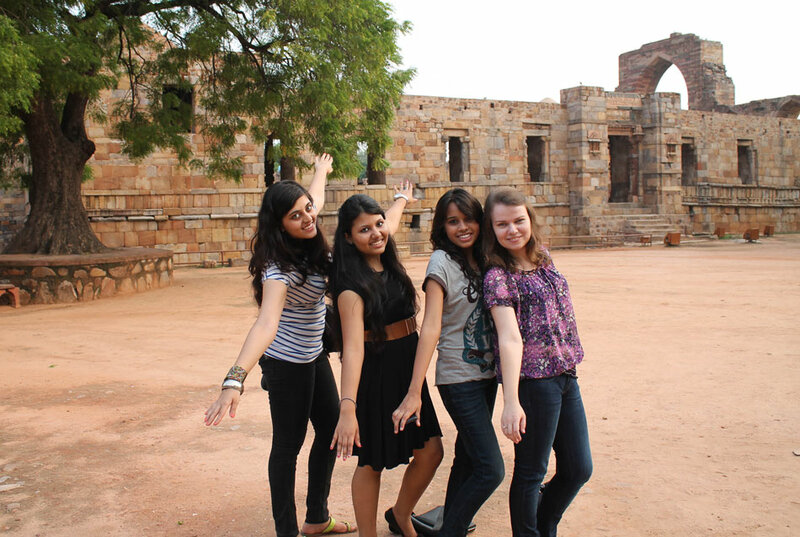 I’m grateful that India helped me realize and appreciate what I have. Patience is a great virtue, starting from daily choices to important life decisions. Technology made people very impatient. We want everything right here right now! Any delays or cancellations bring tons of frustration to us, however it is tough to force life events, especially in relation to people. Waiting is one of the hardest things because there is nothing much you can do about it. Everything takes time, whether it’s the company that has to process your payment or your friends who need time to forgive you and move on. India will constantly challenge your goals, decisions, and tolerance. This country has a very hierarchical and bureaucratic society. You will face tons of situations with illogical outcomes and unnecessary procedures. In many cases, time will be your filter to check how bad you really want something. Things happen in India but in their own way, which you might not have thought about. This country has significantly reduced my freak control trait and have more relaxed approach towards daily cores. Indian culture teaches appreciation and respect towards the family. In the western part of the world, many people can’t wait to reach 18 to go the college, shift away from parents, become independent. While you are a teenager, you think you can take so much better decisions by yourself. The more you grow older, the more you understand how much in common you have with your parents. They might have made many mistakes or misunderstood sometimes your behavior. Nobody is perfect! They took all decisions with good intentions and did their best for you. Whatever stage of your life you are now, it is worth to reconnect with the family. Look at the personality behind your mom, dad, grandparents, cousins. Take a bit of time from your busy career or university life and write to them, ask what is happening in their life. A healthy relationship with your family will bring a wave of fulfillment to you. India helped me look differently at my family, notice their efforts to build a better life and appreciate their experience. Charles Darwin said: “It’s not the strongest of the species that survive, nor the most intelligent, but the one most responsive to change”. India doesn’t make things easy. This country is developing and changing at a fantastic speed. It will hardly give you any chance to form habits. In the morning, local people might charm you with hospitality and support. Later same day you will become part of the socially awkward situation which you will not be able to escape. This country will challenge your views and behavior to the most. 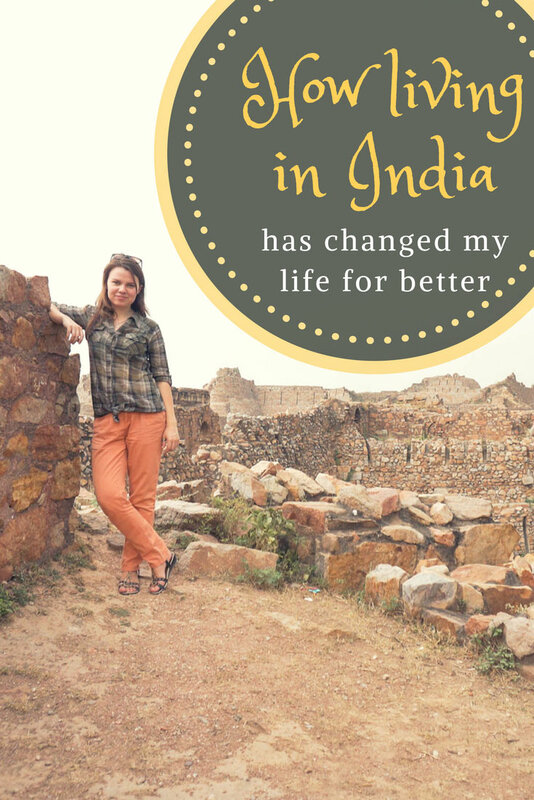 I was one of many foreigners who came to India to fix this country. With time I understood, maybe there is not so much wrong about India as about me trying to change it according to my taste and habits. In fact, India teaches practicality. It encourages you to dream BIG with constant new coming opportunities. At the same time, it trains you to set smart goals and adjust them to current life circumstances. Besides cultural challenges, be ready to adapt to constant weather changes, linguistic diversity and behavior norms. One of the hardest things in life is letting go. We are often too much obsessed with the idea of ownership and control. My generation who grew up with a TV and Internet has a thought planted in our heads since childhood that everything depends on us, we are building and deciding our lives. Though we are responsible for own actions, there are so many things that just don’t depend on us. People leave, environment changes, possibilities differ and this list can continue. We often set too high expectations and blame ourselves and the world for different outcomes. India is a creative chaos with too many variables that make it challenging to plan or expect anything. It is a place where is hard if possible to make things “your way”. Nevertheless, if you let go your control and accept the local randomness, everything will fall into place. Acceptance doesn’t mean indifference. It is rather the awareness of the situation and the focus on the things you can change. Me with great people from different states, religions, and backgrounds. Friends till date. There are tons of global criteria that split people into groups. Race, religion, social status, class, money, success, interests are some of them. Despite all the differences, people want same things in life. They seek happiness, love, understanding and independence in their choices. India is a great example of unity in diversity. There are many class and social conflicts, however when it comes to important issues, national problems or interests – be it women position in the society or an international cricket match – people come together and fight for common goals. In the age of globalization, it is hard to make a profile of an “ideal citizen” of a country. Different world views and backgrounds can give a significant push to the development of any country. India helped me to let go many standards and embrace diversity. I believe India can’t leave anyone indifferent. This country has made a huge impact upon my personality and I believe it has a bunch of life lessons for everyone ready to learn. Have you visited India? What was the most impactful incident of your journey in India? 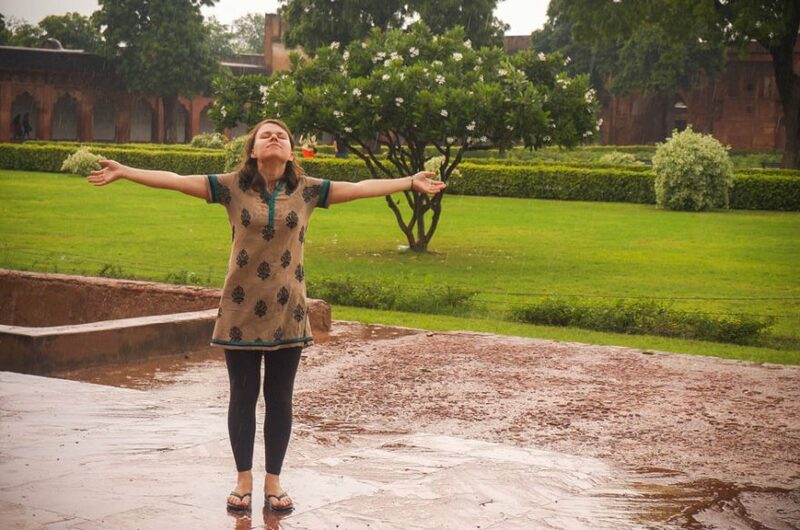 Share the post "How living in India has changed my life for better"
Excellent blog, and beautiful pictures. Being an Indian myself I can easily relate to your thoughts. Thanks for sharing. Thank you for reading and feedback. I’m happy you could relate to it! i lived in India for almost a decade. It definitely changed my life in many ways. My son was also born there and even though he isn’t Indian by blood, he fully believes he is Indian. It seeps into your soul and you are never the same! What was the reason you stayed in India for so long ?!? It’s so Admirable. Wow ! What did you do for work and where did you live / based ! I haven’t visited India, but I admired reading your lessons from living in the country. Learning to be patient and let things go is so important to personal and professional growth. Your insights are meaningful and well-developed. Thanks for sharing your wonderful insights!